AS PROMISED – for those who couldn't make it on the night, here is our podcast of MOOP Talk: Museum, created by the amazing Dom and Simon from BN1 Productions (info@bn1productions.co.uk) – can't recommend them highly enough! 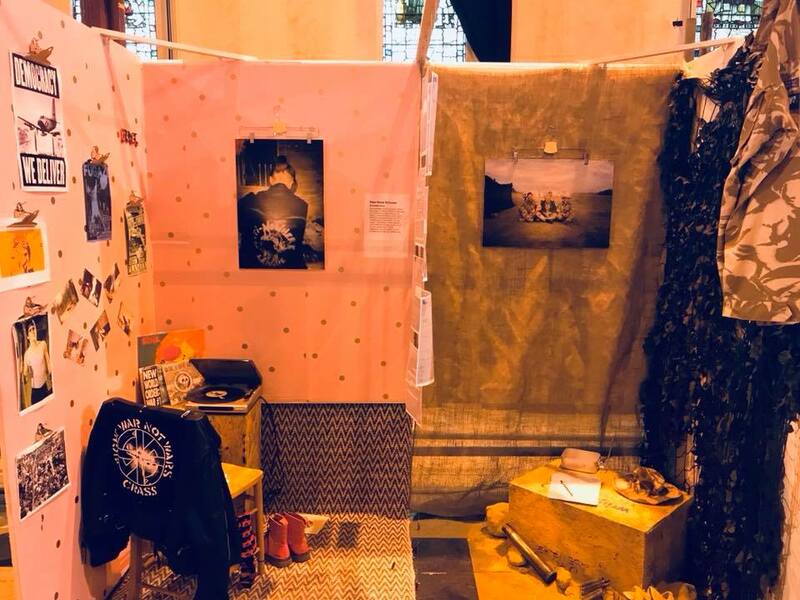 “Dear Punk Princess” by Bridget Prince chronicled the real-life pen pal relationship between two participants with opposite world views - one of the compelling original exhibitions created by local people at the first version of @museumofordinarypeople during this year’s Brighton Fringe. Did you make it to MOOP's first exhibition? Missed out on our last MOOP Talk? Fear not - we are back in Brighton on October 1st! MOOP Talk: Action will see dynamic local people who have done extraordinary things for Brighton’s community take to the stage and share their uplifting stories. It’s an evening celebrating how big changes start from small actions - motivating us all to to take action on the ideas that have been floating around in our minds that need to be ACTIONED! What a line-up! What an evening! Our first ever MOOP Talk – MOOP Talk:Museum – was full of honest conversations about how museums can evolve (and are evolving) to be truly representative, to be more human and to record the histories of people who have traditionally been written out of the history books. We'll release some video clips of the highlights on here. A gigantic thank you to our speakers: Edith Ojo, Tshepo Skwambane, Richard Martin and EJ Scott. On September 3rd 2018, the Museum of Ordinary People returns for MOOP Talk: Museum. Join us for the evening, where we'll discuss the future of museums with speakers from a range of museums and cultural institutions – followed by an interactive workshop and drinks (paid bar). Taking place at Brighton's beautiful St Augustines Centre from 7pm-10pm. Reserve your space via the Eventbrite link on our Facebook page – and pay as you feel on the night. We can't wait! MOOP co-founder Jolie was interviewed on windy Brighton Pier today for Latest TV, talking about our win at Brighton Fringe and our plans for the future. Did we mention we're back in October for an exhibition specially dedicated to hoarding? It's the @Brightonfringe Visual Arts Award – which the Museum of Ordinary People WON last night!! Team MOOP are over the moon right now! Not only have we had an amazing week, with hundreds of visitors to our pop-up museum celebrating everyday life, but this award makes us feel even more hopeful for MOOP's future plans. The local people who created the exhibitions have been so courageous in sharing their collections of objects, and it's their creativity and commitment that made the first iteration of MOOP what it was: Clair Morrow Barbara Duffy Catherine Rees Clarita Hedgewitch Ellie Buckle Philip Franklin Bridget Prince Cathy Elizabeth Johnson and Anonymous – you are all wonderful, THANK YOU! The Museum of Ordinary People has won theBrighton Fringe Visual Arts Award 2018!! We could not be happier or more grateful for everyone who has supported our Kickstarter, helped us build and create our beautiful museum - and everyone who visited. This really is the perfect end to an unforgettable week! 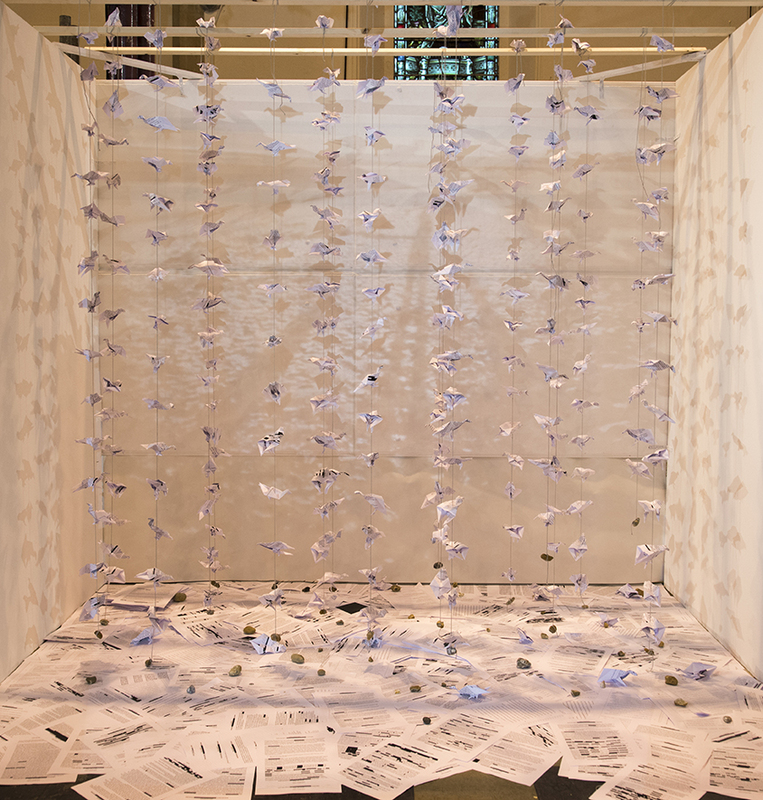 The Visitor by Barbara Duffy is one of our heart-rending exhibitions at The Museum of Ordinary People. 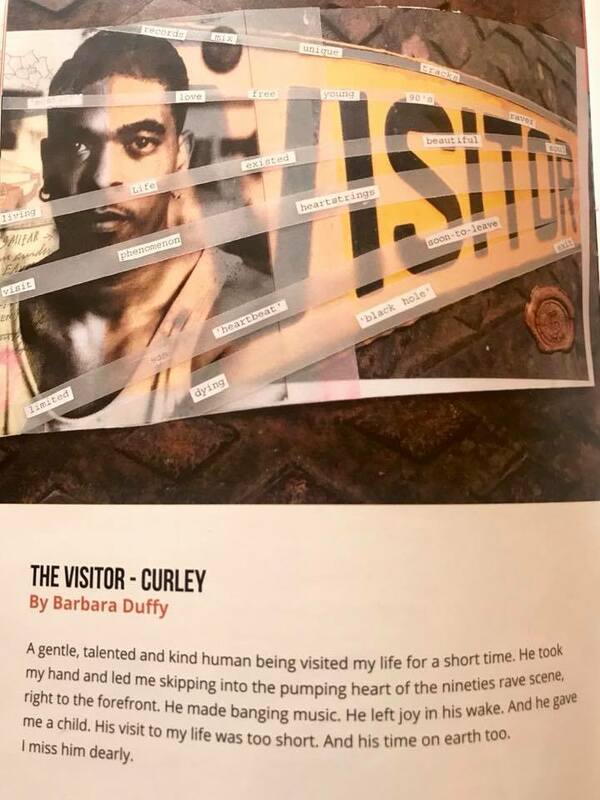 Barbara is one of the participants who will be speaking at the museum tonight, and sharing how it felt to create an exhibition about a person who meant so much to her. Join us here at @thespirearts from 6.30pm tonight to hear from some of the creators behind our special museum. Or pop along today and tomorrow, 11am-6pm to have a look around. A Night at The Museum of Ordinary People with Miss Represented - a Brighton Dome project - sharing our passion for telling untold stories. Some amazing, positive conversations about the importance of making our experiences known. A collective of female performers, these young women express their life stories through some powerful performances - they are owning the stage atThe Spire Festival Bar tonight!